PORT-AU-PRINCE, Haiti — Two men testified before a three-judge appeals panel Thursday that they were imprisoned in ghastly conditions for months without charge under the government of former dictator Jean-Claude Duvalier. 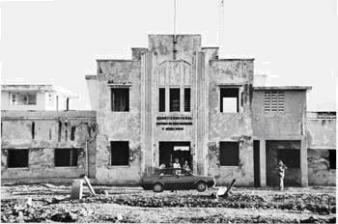 Agronomist Alix Fils-Aime described his time at the Fort Dimanche prison in the 1970s, saying most of the people held with him were tortured and killed. “I was able to hear people being beaten, dragged in the hallway, and I could hear women screaming as they were being forced to have sexual relations with the guards,” he said. The other plaintiff, Robert “Boby” Duval, told about how he was lucky to eat a bowl of grits once a day while locked up in the same prison. He added that up to 40 prisoners in a single cell shared a bucket as a toilet. The case of Haiti’s former ruler known as “Baby Doc” has surprised many in Haiti in recent weeks as it gains traction in what has long been a sluggish and dysfunction legal system. The weekly hearings in the country’s main courthouse have been packed with journalists, human rights activists and observers from embassies. Duvalier unexpectedly took the stand a week ago as he defended his 15-year rule following three earlier no-shows. The former “president for life” characterized the era as a better time for Haiti and said he took action against abuses. 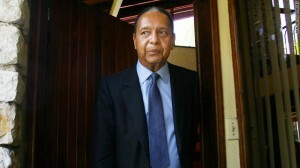 The court had called on Duvalier to be available for further questions, but he didn’t show up Thursday. His main attorney said this week that the 61-year-old had checked into a hospital for an unspecified illness. Duvalier was charged with human rights abuses and embezzlement after his surprise return to Haiti in 2011 following 25 years in exile. But a lower court judge ruled that Duvalier should face only the charges for financial crimes because the statute of limitations on the alleged rights abuses had expired. 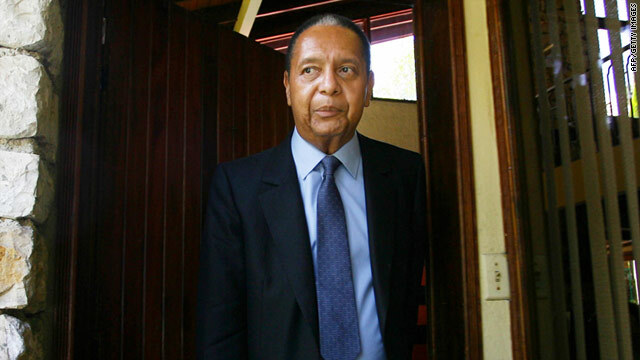 That decision was appealed by lawyers for both Duvalier and his alleged victims. The case slowly made its way through the legal system, and appeared dormant, until it reached an appellate court judge in January. The appeals court can reinstate the human rights abuse charges, pursue the financial crimes charges, or drop both. The case could also go to a trial. Defense attorney Reynold Georges said he was confident that Duvalier would be cleared of the charges. 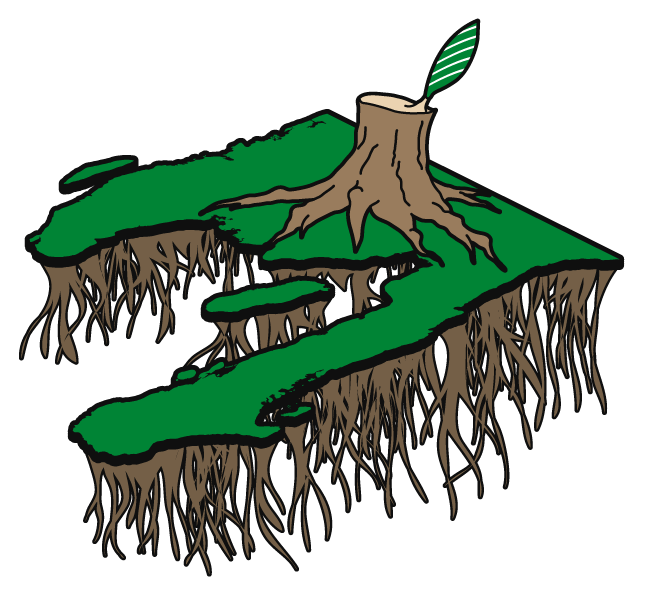 The appeals court is to hear more testimony next Thursday. 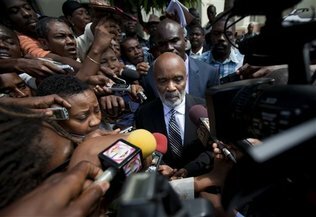 In a separate court case Thursday, former President Rene Preval testified behind closed doors as authorities tried to revive an investigation into the long-unsolved killing of Haiti’s most celebrated journalist. Preval showed up early in the morning before spectators or journalists could see him enter the court and he left several hours later, declining to discuss what he told the investigative judge seeking to build a criminal case in the April 2000 slaying of Jean Dominique. Preval, who was president in 1996-2001 and 2006-2011, then headed to the Venezuelan Embassy to pay his respects following the death of President Hugo Chavez. Preval was serving his first presidential term when Dominique was shot to death outside Radio Haiti-Inter, where he worked. Preval and Dominique were friends and political allies who opposed the Duvalier and military dictatorships. Dominique was 69 at the time of his death and his slaying was later the subject of “The Agronomist,” a 2003 documentary by Jonathan Demme.